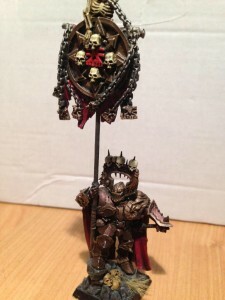 So nowadays you can find blogs and videos on how to paint a golden daemon standard model with a million layers of highlighting that makes you want to pullout your eyes and never paint again, but these do not help you get an army you are happy with on the table and playing games! So I will give you a few tips on how to get a good looking army ready and destroying your opponents. These may all seem pretty simple but they will all add together and to give a good effect. 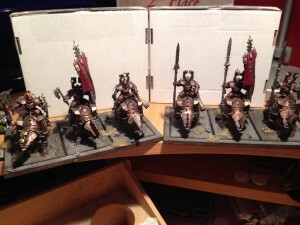 Firstly, planning, sort out a paint scheme, go for one main colour and a contrast colour, as you can see on my warriors army I chose a dark bronze as the main colour and red as the contrast. 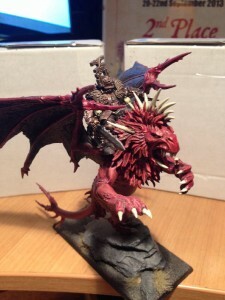 The next thing is to just use a small palette of paints to use across the whole army, this will give it a good cohesive look. As you can see from this selection of models from the army they all have the same look to them. 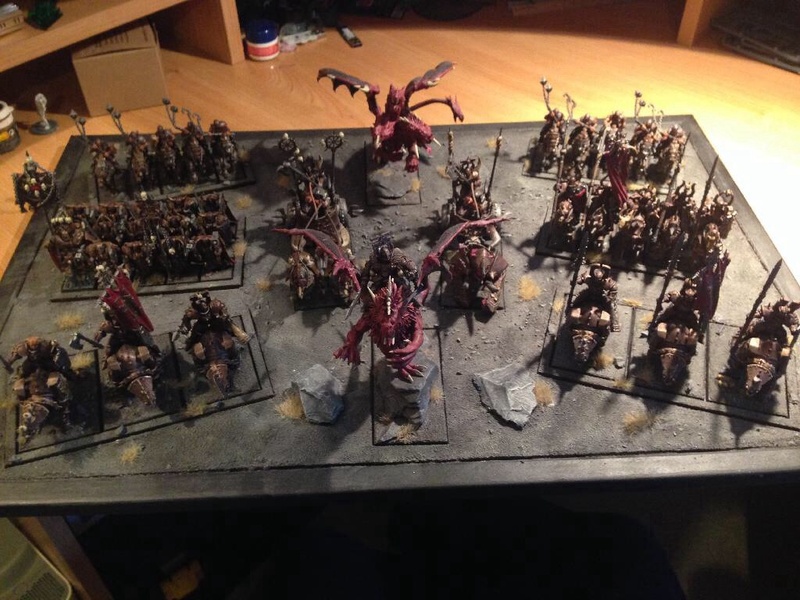 Now I used less then a dozen colours plus washes to paint this whole army and it took me less than six weeks to paint the whole lot, Im no golden daemon painter but I do have some simple tips. 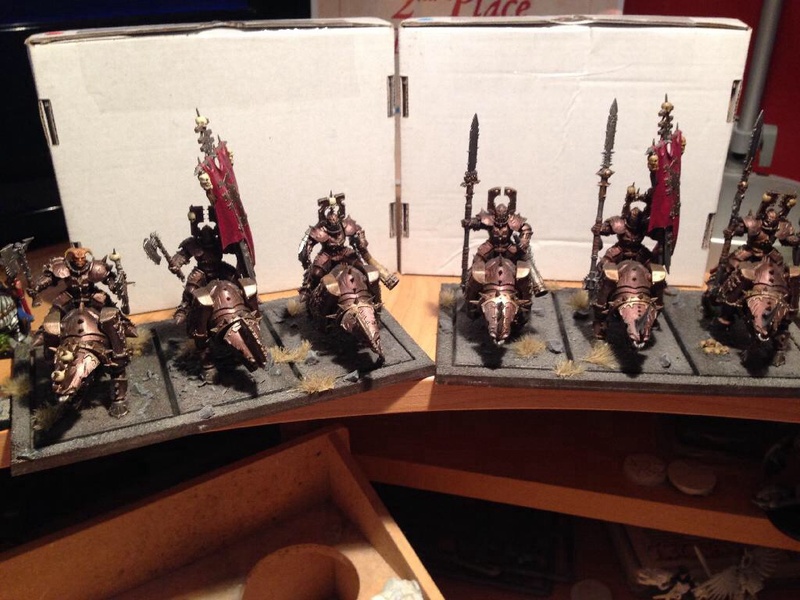 Tidy painting, just take your time with the base coating and stay in the lines!, second, washes are your friend!, a simple wash will make a base coated model pop so much more, finally a single highlight and the models will be done. Now I am not saying I will win any awards with this army but I won’t be ashamed to put it on the table. It also is worthwhile to spend a little extra time on the centre piece of the army, as this is where a viewers eye will be drawn to first. And of course it doesn’t hurt to bring some filth to the table as well!!! 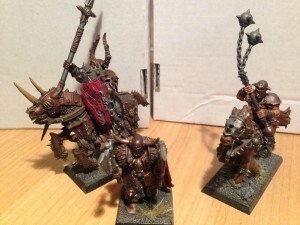 So, I hope my ramblings might help you finish that army project you just can’t get done. 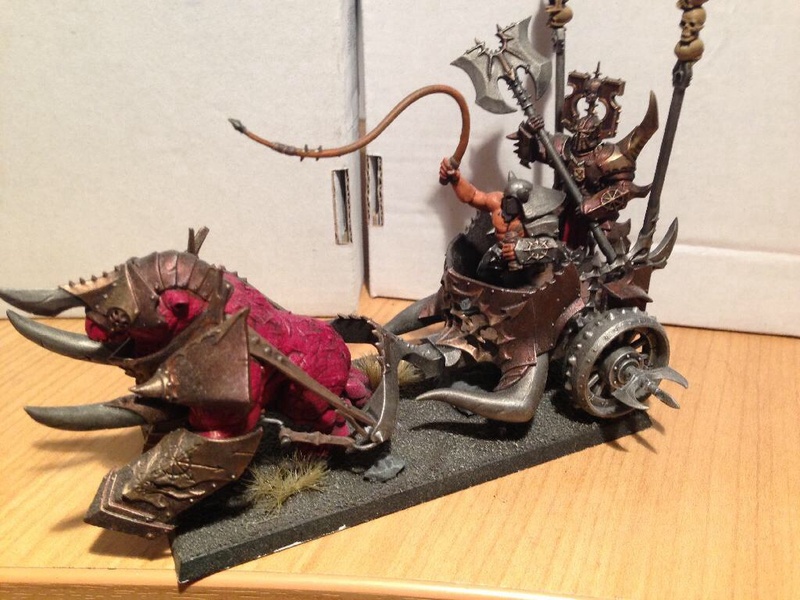 This entry was posted in Army Blogs, Ben's Dwarfs, Painting Tips, Warhammer Fantasy, Warriors of Chaos and tagged conversion, fantasy, how to paint warhammer, Tournament, warhammer, warhammer fantasy, warhammer painting, warhammer painting video, Warhammer Tournament, Warriors of Chaos. Bookmark the permalink. All I see online is painting tutorials with un achievable results that would just drive the mediocre hobbyist to extinction. One tip I use is to only use out the pot paints and not bother with mixes for two reasons; In the future you might not get that example same mix and will lose the feel of a uniform army, secondly it takes half the time! As stated I tend to maybe add a second highlight to character models.